When real estate closing dates don’t align perfectly, many Ohio homeowners find that they need a temporary place to store their belongings. Hiring a full-service moving company like Herlihy Mayflower can make this process as easy and stress-free as possible, as Lorenzo B. discovered recently. Lorenzo called our Columbus moving team to pack up the contents of his home in Granville, Ohio and move them to our secure storage facility in Grove City, Ohio while he prepared to move out of state. Our convenient location is easily accessible from both I-71 and I-270. 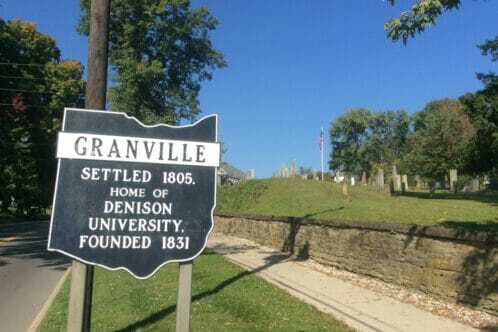 Granville is a picturesque village of about 6,000 residents in Licking County, Ohio about 35 miles east of Columbus and 7 miles west of Newark. Home to Dennison University, this New England style village contains a number of historic landmarks. After our Columbus moving crew had finished packing Lorenzo’s furniture and other belongings and delivered them to our storage facility, he wrote to let us know how pleased he was with the process. Thank you for trusting Herlihy Mayflower, Lorenzo. We look forward to moving you again soon! Looking for a professional, reliable Columbus, Ohio moving company serving Granville, Ohio? Contact us today to experience the Herlihy Moving & Storage difference. As one of Ohio’s oldest moving companies, we have moved thousands of families and businesses within Ohio, across the United States, and around the world. We’re BBB accredited and Angie’s List approved. And, as a locally owned and top-rated agent of Mayflower Moving serving Chillicothe, Athens, and Columbus, Ohio, we have the resources to move you, no matter where you need to go.